Register Today for PestWorld 2014 and SAVE $50! Only a few days remain until registration rates increase for PestWorld 2014! Register today and ensure you take full advantage of the early bird discount rates. Click here for more details and registration. The alleged debate over the connection between pesticide use and the decline in bee health reached a dizzying pace this summer. Click here to read more. For over 25 years pest professionals have banded together at NPMA Legislative Day to positively influence and educate congressional representatives in Washington, D.C. about the importance of our industry. This year it is more important than ever that our voice is heard on Capitol Hill and around the District. Therefore, we're asking for your assistance to make this the best Legislative Day yet. Click here to take a 30 second survey and tell us what issues, speakers and topics you want included at Legislative Day 2015 and you will automatically be entered for a chance to win (1) of three $50 gift cards! Camel crickets (Orthoptera: Raphidophoridae) are occasional invaders distributed throughout North America. Camel crickets, also called cave or stone crickets, are peridomestic pests that live in and around homes, preferring cool, moist locations like basements, crawl spaces, and under debris. Historically, the most commonly encountered camel cricket species were in the genus Ceutophilus, but a new survey of these crickets conducted across North America found that times are changing. Employing a method called ‘citizen survey science’, scientists from North Carolina State University, led by Mary Jane Epps, used a mixture of surveys, photos, and specimens to determine the presence of different camel cricket species in different locales. Homes east of the Rocky Mountains were determined to be more likely to house camel crickets and surprisingly, an invasive Asian species (Diestrammena asynamora), which was believed to be primarily a greenhouse pest, was found to outnumber its native counterparts in and around structures. Trapping data indicate that the Asian camel cricket has a strong affinity to live near structures, so it may actually enter homes more often than the native species. The survey also uncovered a new exotic species, Diestrammena japanica, which had not been previously found in North America. The full article, "Too big to be noticed: cryptic invasion of Asian camel crickets in North American houses," was published in the most recent issue of the journal PeerJ and can be found here. California Governor Jerry Brown recently signed legislation into law requiring the director of the Department of Pesticide Regulation to regulate the use of carbon monoxide pest control devices and to adopt and enforce regulations to provide for the proper, safe, and efficient use of these devices, as specified. Under the measure, the term “carbon monoxide pest control devices” is defined as "any method or instrument using carbon monoxide to prevent, eliminate, destroy, or mitigate burrowing rodent pests." Senate Bill 1332 is similar to rulemaking the Colorado Department of Agriculture recently adopted. Click here to read more about the new CA law. The Montgomery County (MD) Council will hear testimony on September 8 on a proposed ordinance prohibiting certain employers from conducting a criminal background check or otherwise inquiring into an applicant's criminal record before making a conditional offer of employment, becoming the latest jurisdiction to consider legislation limiting when private employers can inquire about job applicants' criminal history. Jurisdictions that have enacted "ban the box" laws - a reference to the prohibition on the use of a checkbox on job applications indicating whether or not the applicant has a criminal record - that apply to private employers include Iliinois, Massachusetts, Minnesota, Hawaii, Rhode Island, Baltimore, Buffalo, Newark, Philadelphia, San Francisco and Seattle. Click here to read more about the issue. The California Legislature last week gave final approval and sent to Governor Jerry Brown for his consideration legislation extending the statutory authority of the Structural Pest Control Board from Jan. 1, 2015 to Jan. 1, 2019. Senate Bill 1244 also defines a number of terms, adjusts various fees, deletes obsolete provisions pertaining to the definition of fumigants and fumigation procedures, and authorizes, in specified circumstances, waiving the use of warning agents in conjunction with fumigants. Click here to read SB 1244. The Legislature also recently cleared and sent to Governor Brown a bill prohibiting the use of the second generation anticoagulant rodenticides brodifacoum, bromadiolone, difenacoum and difethialone in state parks, wildlife refuges or state conservancy. Assembly Bill 2657 also directs state agencies to encourage federal agencies to comply with this prohibition. Click here to read the legislation. Lastly, the Legislature last week passed a bill requiring any person who intends to apply a pesticide at a schoolsite to complete, by July 1, 2016, a training course covering integrated pest management (IPM) and the safe use of pesticides in relation to the unique nature of schoolsites and children's. Senate Bill 1405 also requires schools to submit certain records of certain pesticide applications to the Department of Pesticide Regulation and to develop and post on the internet the school or school district's IPM plan. Click here to read the SB 1405. Arrow Exterminators recently convened in beautiful Cancun, Mexico for their annual Fiscal Year Manager Meeting and Premier Club where they kicked off the company’s 50th Anniversary celebration. As part of the celebration Arrow accepted the ALS ice bucket challenge. A team of 330 Arrow team members doused themselves with buckets of ice water in an effort to raise awareness for amyotrophic lateral sclerosis, or ALS. Additionally, Arrow Exterminators made a $5000 donation to support the fight to treat and cure the disease. 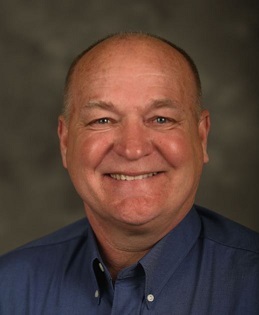 William A. Kolbe, BCE, Technical Director for Viking Termite and Pest Control just celebrated his 40th year in the Urban Entomology / Structural Pest Control Industry. Orkin LLC was challenged by Arrow Exterminators in the ALS Association Ice Bucket Challenge. Rollins President and COO John Wilson accepted the challenge and asked all employees at the Rollins Support Center to participate with him. Hundreds got together Thursday, August 28, to dunk themselves with ice water. Wilson then challenged all Rollins brands and field locations worldwide. 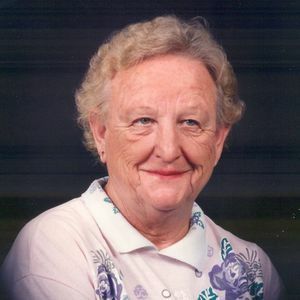 Mrs. Naomi Christine Blake, age 84, of Louisville, Kentucky passed away on Sept. 2, 2014. •Mike's Swat Team Pest & Termite Control, Inc.
•Tetengo S. De R. L. De C. V.